I am madly in love with a boy. Well — he's a man, to be more exact. And he probably doesn't really know I exist, but no matter: you can't fight love. What sets out love apart, though, is that I am not alone in my only sorta creepy devotion to him: There are way more obsessed fans out there who — like me — just spend countless hours looking at pictures of his face on the Internet. You know: totally normal behavior. Who is this man? Of course, it can be none other than the most crush-worthy person ever, Tom Hiddleston. According to science (which means that this info is legit), if you maintain direct eye contact with someone for an extended period of time, you will fall madly in love with them. You are also supposed to also ask the other person a bunch of questions but sheesh, Tom Hiddleston doesn't need words. He can make you fall in love with just his eyes. Don't believe me? HuffPost Live posted a video involving Tom Hiddleston staring deep into everyone's souls for a full 20 seconds, and it's impossible to not fall in love with him while watching. I mean, It only took me five second to fall even more in love with the man, because looking into those baby blues of his... it's like, whoa, that's true love. Unsurprisingly, there are tons of other images and clips of Hiddleston that do the trick, too. 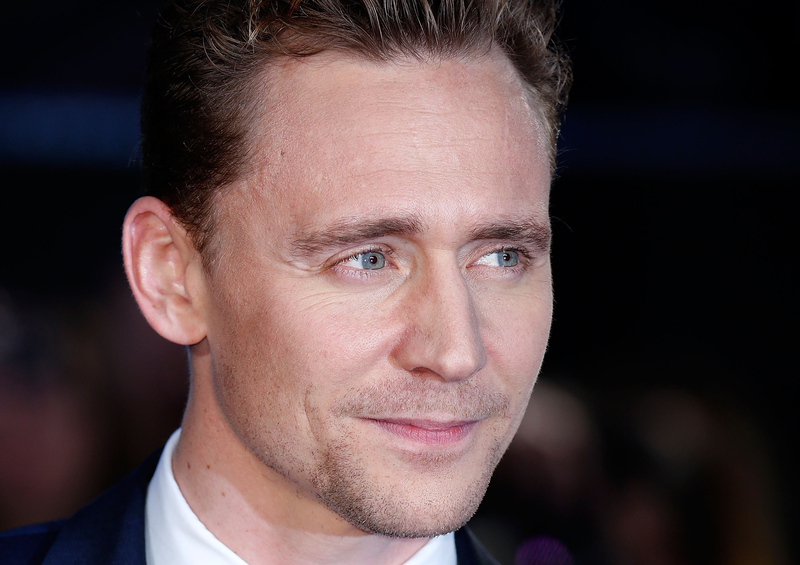 Watch these other images and try not fall deeply in love with Tom Hiddleston — I dare you. Heaven really is a place on Earth. Tom Hiddleston is proof of that. What's better than a GIF of Tom Hiddleston dancing? Two GIFs of Hiddleston dancing. Tom Hiddleston understands your problems. He has a sensitive soul. I've never wanted to be a foam puppet pig so badly in my whole life. You say weird personal quirk, I say endearing quality that makes me fall even more deeply in love with the man. It's like he know what he is doing to us and yet he does it anyways. That head turn is trés chic. It is good to know that if Tom and I ever disagreed on something (which we never would because we are in love and perfect for one another) that he looks so good saying no. Somebody get this man an endorsement with Colgate, STAT. Any person that can tolerate extended time with Sesame Street characters would obviously make a great father to my future offspring. Duh! Blonde poodle hair might not be his best look, but he still looks better with it than most. Because why not? I'm just giving the people what they want. Without question, Tom Hiddleston's laughter is the greatest thing on this planet. So by this point, I'm sure we are all madly in love with Tom Hiddleston and all is right in the world. Take what you have learned here and go into the world to share the message of Hiddleston's hotness. We Hiddlestoners are always looking to expand our ranks.